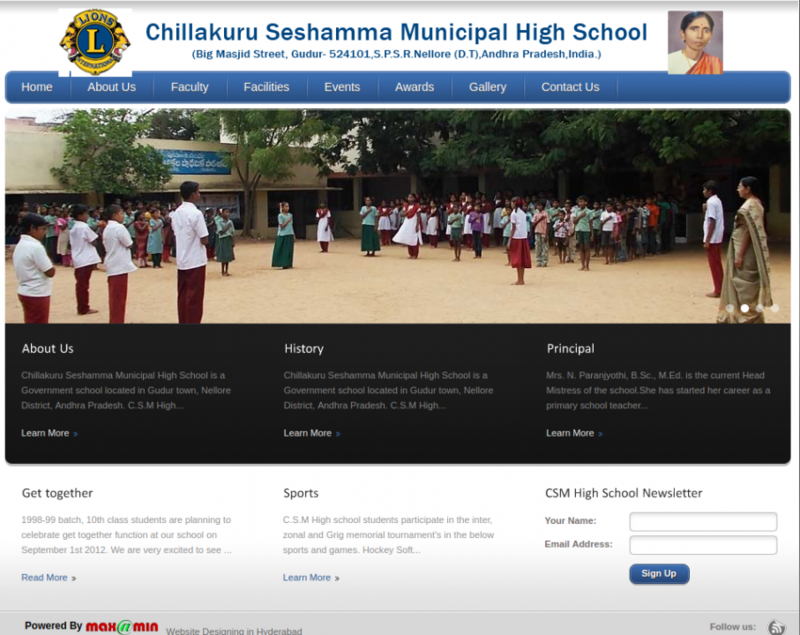 Chillakuru Seshamma Municipal High School is a Government school located in Gudur town, Nellore District, Andhra Pradesh. C.S.M High school premises were previously used as Jail when the place was under British rule. After India was free nation, government had started Primary School at the same premises. After some time, the school was upgraded to Upper Primary school in the year 9999. In 1979, with the association of Lion’s Club and Dr. C.R Reddy, High school studies were started in the school and school renamed to Smt. 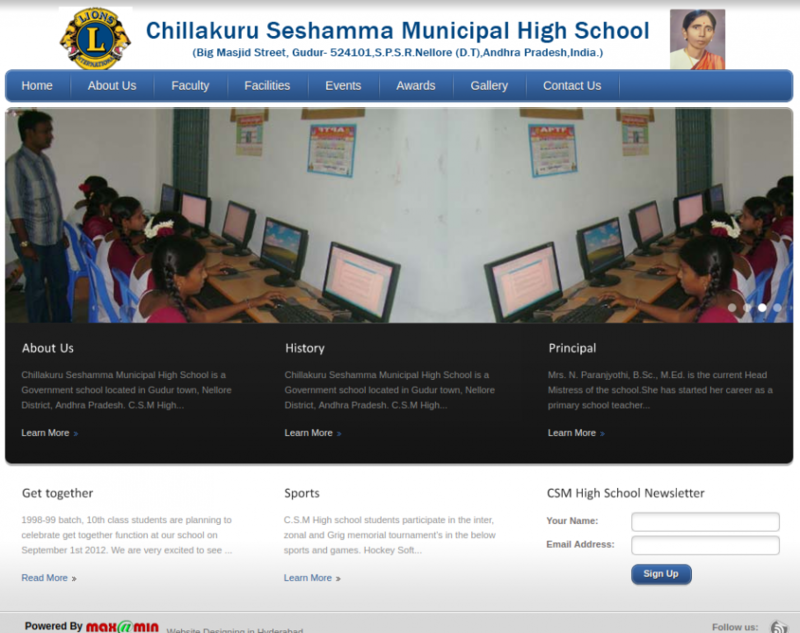 Chillakuru Seshamma Municipal High School which was in the memory of Smt. Chillakuru Seshamma, mother of Dr. C.R Reddy. As the days moved on, school came into the hands of Gudur Municipality. Currently, both elementary and high school studies have been conducting in the same campus. In the year 2001, school building was renovated into a new building with facilities like Computer Lab, Playground and Science Lab. Till now; it has produced many brilliant students, well settled across the Globe in different organizations.